Campus accommodations at UNIVERSITY of VICTORIA RESIDENCES are now open for booking! $30-$40/night per person for shared accommodations, depending on the type; more for private. Dormitory rooms, bachelor appartments, and 4-bedroom cluster units. (cluster unit pictured below). More information and rates below. Call Nancy Daniska at UVic directly at (250) 721-8430 or (250) 721-8375 for the bookings desk. Within North America, dial "1" first; outside of North America dial "001". or you can email ndaniska@uvic.ca, or bookings@uvic.ca. 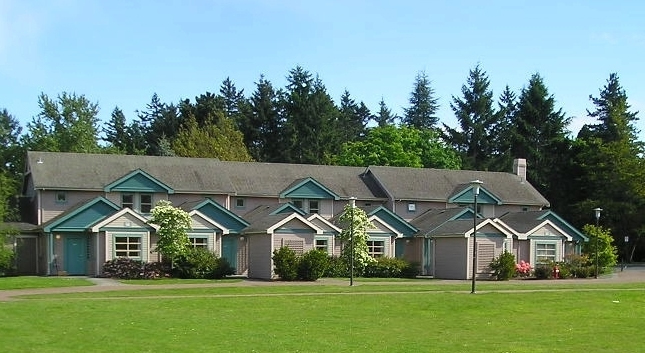 UVic residences offer comfortable, convenient and cost-effective accommodations for CeltFest attendees. They are just a short drive or bus trip from the CeltFest classes, to be held at the Canadian Centre for Performing Arts in Oak Bay. For groups staying 13 nights or less our bed and breakfast package includes accommodation in a residence room, breakfast each morning, and daily towel service. Bedrooms in Dormitory buildings come with either 1 or 2 single beds. Shared washroom facilities are located on each floor and are designated by gender. On each floor there is a central lounge to relax and watch TV. Daily breakfast vouchers are provided for each guest to use in the Cadboro Commons dining room from 7:00am – 10:00am. $28.70 per person plus applicable tax. One Chaperone required per 10 youth. $47.20 single occupancy plus applicable tax. $57.40 twin occupancy plus applicable tax. Similar to an apartment or townhouse, Cluster units come with 4 bedrooms, 2 washrooms and a shower. Each bedroom in the unit contains 1 single bed (bedding provided). The living room is furnished with a loveseat and coffee table. The kitchen has a fridge, stove, dishwasher and dining room table with chairs and is equipped with dishes, cutlery and utensils. $160.00 per unit per night plus applicable tax (includes 4 bedrooms with single beds in each room). Breakfast is not included in the Cluster Rate. If you're staying on campus, you may order bed & breakfast, and/or meal package passes. There are many restaurants and cafeterias on campus to choose from. 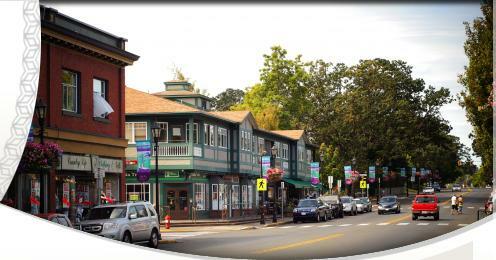 In Oak Bay, within a short stroll of CeltFest school, there are many restaurants and cafes to choose from! NOTE: We now have the option of providing pre-ordered lunches for CeltFest students. If you would be interested in ordering lunches, please contact us to let us know. $7.20 each plus applicable tax. Redeemable between 7:00am -10:00am in the Cadboro Commons Dining Room. Breakfast vouchers are included in the residence rooms/apartment/ and Craigdarroch Rooms but breakfast vouchers may be purchased for guests staying in the cluster units. $9.50 each plus applicable tax. Redeemable between 10:00am -2:00pm in the Cadboro Commons Dining Room. A lunch example would be: 1 Hot Entree (or Sandwich), 1 Fruit and 1 Juice. $13.65 each plus applicable tax. Redeemable between 4:00pm-7:00pm in the Cadboro Commons Dining Room. A dinner example would be: 1 tossed salad, 1 Hot Entree, 1 Dessert and 1 Juice.